Fully loaded with a beautiful conversion by Krystal Koach. This limo does not need a thing and is ready to roll and make its new owner some money!! New tires, tv, stereo with subs, privacy window, champagne holder, 2 ice trays, dvd, cd, and much much more!! 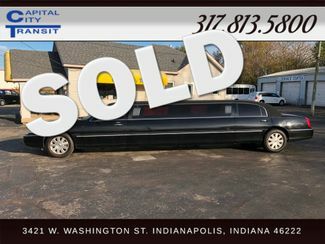 This limo is in excellent condition and was recently privately owned and taken care of! Call today or stop by for a test drive or more info.